Green tea, the revered brew of the Orient - from its origin of the ancient China, some 4,000 years ago, has spread to Japan and Korea, even down the continent to Vietnam and Thailand. 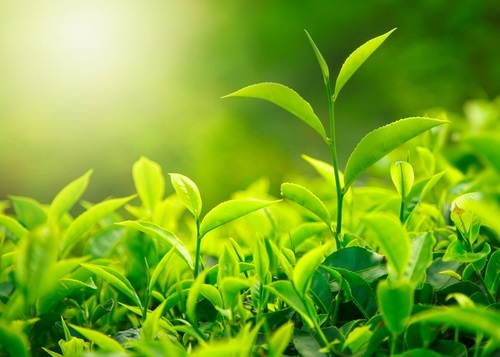 Green tea leaves come from the same plant that produce the golden, aromatic brew of black tea – Camellia sinensis. It is the oxidation process, or in this case, the lack of oxidation process and just the steaming process that retains the powerful anti-oxidant in green tea. Originate from China and cultivated extensively in India and Sri Lanka. Also cultivated in certain part of United Kingdom, United States, Canada and Australia. Green tea contains high concentrations of anti-oxidants, even higher than kale, garlic, Brussel sprouts and spinach. The anti-oxidants neutralize free radicals from accelerating the aging process and cause damage to cell and DNA, which also helps to keep the brain healthy. In traditional Chinese and Indian medicine, practitioners used green tea as a diuretic to remove excess water and fluid from the body. Green tea has an astringent quality, which is due to the anti-oxidants, that is beneficial in wound healing and bleeding control. Green tea also helps stimulate the digestive system for a normal bowel movement. Other traditional uses of the delicate brew include regulating body temperature, treating gas. The most interesting property of the green tea’s anti-oxidants is when combined with caffeine, it produces warming effects that help to rev up the metabolism, converting sugar into energy, boosting physical stamina which in turn beneficial in weight management. Although the content of caffeine in green tea is lower than black tea, it is still present and it is advisable for pregnant woman and breastfeeding mother to avoid the extract or products containing the extract. Over drinking may causes nausea, irritability, headache, dizziness and even insomnia. Individuals who have caffeine intolerance, medical conditions that can be aggravated by caffeine must avoid green tea extract. Anyone under medication must consult their doctor before drinking green tea as it can interact with the drugs or herbal supplements.